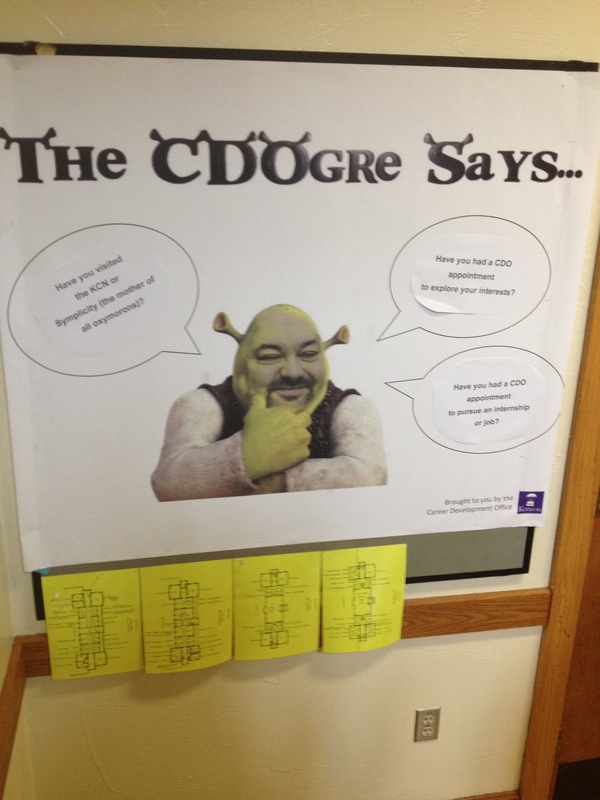 The Career and Development Office (CDO) has launched what perhaps will be its most successful advertising campaign yet — Scott Layson, Director of Career Development, super-imposed onto Shrek’s head as the CDOgre. This triumph of Adobe Photoshop can be found on the first floor of Ascension, certainly, and perhaps elsewhere — we don’t claim to know the CDO’s life. The CDO, after all, is like an onion. It has layers.